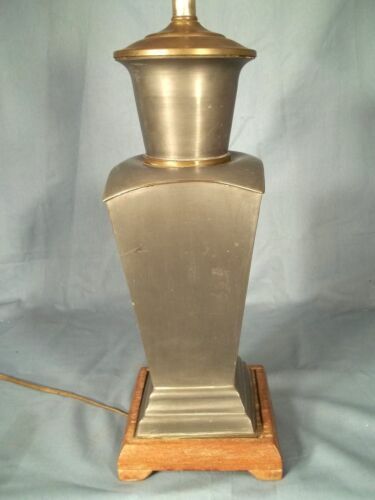 Buy: $44.0 ANTIQUE VINTAGE ART DECO NOUVEAU PEWTER MIRROR PICTURE FRAME LADY LOOKING 8 1/2"
$19.5 Antique ART NOUVEAU Roses PEWTER-Silver Tabletop Picture FRAME - 5 " X 5.5 "
$20.0 Antique Vintage Victorian Enamel Picture Frame Grapevines 3” X 4.25” Pewter? 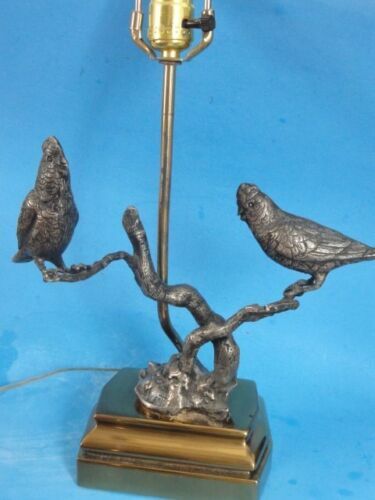 Buy: $14.99 Imax Nida Picture Frame With Birds And Flowers Jewel Toned 100% Pewter 4 x 6"
$500.0 Old Handmade Pewter Frame Mirror Americana Discovery of America 12" x 11"
$54.0 Handsome Classic Vintage Antique Pewter Lamp - French? English? 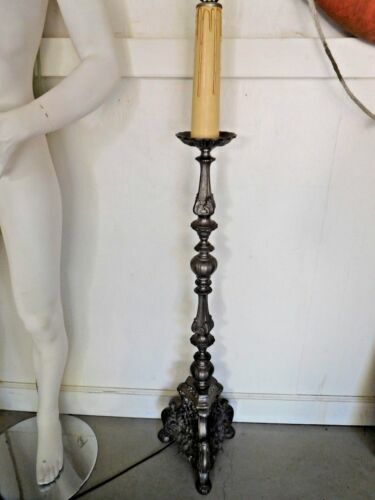 $200.0 LARGE ANTIQUE BRADLEY & HUBBARD DON CAESAR FIGURAL SPELTER TABLE LAMP 48"
$179.0 VINTAGE SOLID METAL GENUINE PEWTER TABLE LAMP RARE WOOD BASE BRASS TRIM 6.5 Lbs! Buy: $119.99 PLATEAU PEWTER 10 1/2" X 2 1/4" BEVELED MIRROR--BEAUTIFUL COND. 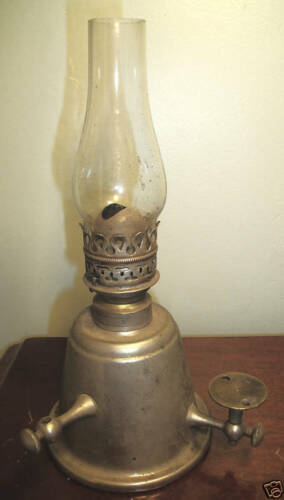 $41.5 Antique 1861! 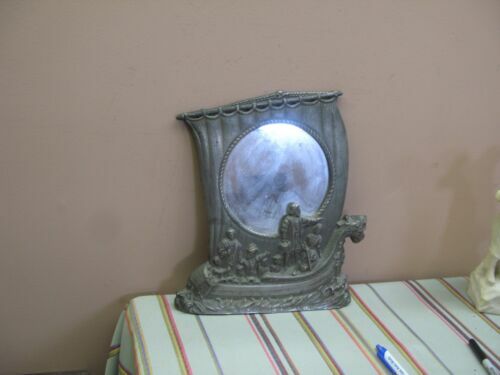 Ornate Metal Pewter Victorian Style Picture w/Frame ~4" x 3"
Buy: $185.0 ANTIQUE FRENCH SILVERPLATED PEWTER TABLE MIRROR,LOUIS 15 STYLE,LATE 19th. Buy: $14.0 HOTTEST PICK! ARIES RAMS *PEWTER PHOTO FRAME! w SATURN MOON STARS SUN 8" X 10"
$12.99 3 SMALL VINTAGE FILIGREE PEWTER/SILVER PLATED 1 1/2" X 2" PICTURE/PHOTO FRAME! 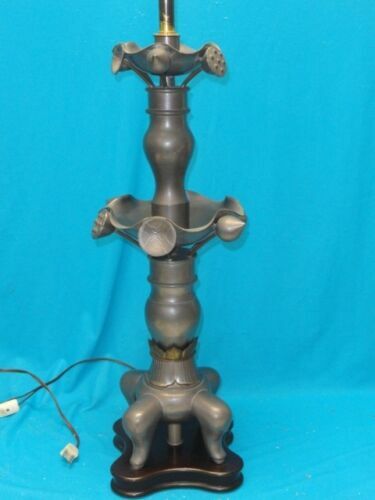 $385.0 LOVELY VINTAGE FLOWING ART NOUVEAU STYLE STAINED SLAG GLASS LAMP BRONZE? BRASS?